China has formally approved the establishment of a free trade zone that will trial yuan convertibility in Shanghai, the official China Daily reported on Thursday. State media had reported in early June that approval of the zone was imminent, but details were scarce on the precise nature of the policy initiatives being contemplated. The single currency slid 0.9 percent to a five-week low of $1.2884 at one stage before steadying at $1.2910 in early Asian trade, thanks to bids from regional central banks. The pound was stripped of gains made earlier in the week and sank 1.3 percent to a trough of $1.5054. The U.S. dollar sped higher on the euro and sterling on Friday after the ECB and BoE both blindsided markets with decidedly dovish policy guidance, leaving the Federal Reserve as the only major central bank with any inclination to rein back stimulus. The Australian dollar strengthened against the other major currencies in the Asian session on Friday ahead of Fed Chair Janet Yellen's speech at the economic symposium in Jackson Hole, Wyoming. The two-day Economic Symposium that began on Thursday in the Kansas City Federal Reserve Bank's economic symposium in Jackson Hole, Wyoming, is attended by central bankers, finance ministers, academics, and financial market participants from around the world in the New York session. The meetings are closed to the press but officials usually talk with reporters throughout the day. Comments and speeches from central bankers and other influential officials can create significant market volatility. Yellen will speak on the labor market at the summit. Traders look ahead to the speech for further cues on the monetary policy outlook. European Central Bank's governor Mario Draghi and Bank of Japan's governor Haruhiko Kuroda are also due to deliver some potential market moving headlines. The Asian policymakers are closely monitoring to get some clues from the discussion of setting next week's labor market dynamics from Yellen's speech. Traders are more concerned of any sign of rising global rates will spark a new wave of outflows. The Australian dollar rose to a 14-month high of 96.76 against the yen, from an early low of 96.56. If the aussie extends its uptrend, it is likely to find resistance around the 96.90 area. Against the euro, the aussie rallied to a 1-month high of 1.4248 from an early low of 1.4279. The aussie may test resistance near the 1.41 area. 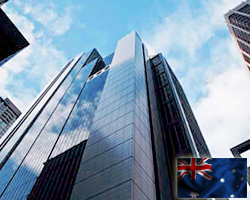 The aussie, which closed yesterday's deals at 0.9301 against the U.S. dollar, firmed to a 3-day high of 0.9318. This may be compared to an early low of 0.9299 against the greenback. On the upside, 0.937 is seen as next resistance level for the aussie. Moving away from an early low of 1.0174 against the Canadian dollar, the aussie advanced to a 2-day high of 1.0193. Continuation of bullish trend may lead the aussie to a resistance around the 1.02 mark. Against the NZ dollar, the aussie edged up to 1.1092 from an early low of 1.1062. At yesterday's close, the aussie was trading at 1.1062 against the kiwi. The aussie is likely to find resistance around the 1.11 area. Looking ahead, Canada CPI for July and retail sales data for June are due to be released in the New York session.